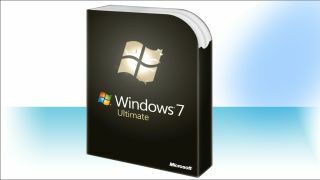 Windows 7 is also included in the deal. Microsoft now allows enterprise users to get windows on a per-user basis rather than on a per-device one as it was historically the case. The change means that employees will be able to "use or access Windows Enterprise across all their devices" and will remove a massive burden on system administrators. That's because they won't need to track every single device and license, especially if their organisations embrace the BYOD (Bring your own device) paradigm. Any device running Windows 7/8/8.1 Pro and enterprise and any tablet with a diagonal screen of 10.1-inch is now included in that flexible access programme through Windows Software Assurance and Windows Virtual Desktop Access. The change is likely to encourage businesses to offer the ability to their end-users multi-device setup. We don't know whether Microsoft pushed up the price of Windows as a consequence but if what happened to Office 365 can be an indication of Microsoft's strategy, then unlikely would be the answer. Microsoft's license includes one desktop/laptop as well as one tablet, so in essence you can run two devices concurrently from one license. Check our our Windows 10.